My husband works outside in the heat for 10 to 12 hours a day; part of their safety regulations is that they not only drink water but also drink some type of sports drink to get their electrolytes and salt replenished. It is easy to get sick if don’t replenish these vitamins and minerals due to all the sweating. However, the cost of these drinks can be outrageous and don’t usually fit into our budget due to buying a case or two a week. 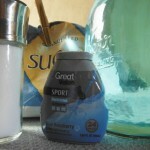 I started making homemade sports drinks that incorporate the nutritional aspects needed, but for the price of pennies. This homemade sports drink is an easy way to keep different flavored beverages handy and to meet the needs of different family members. 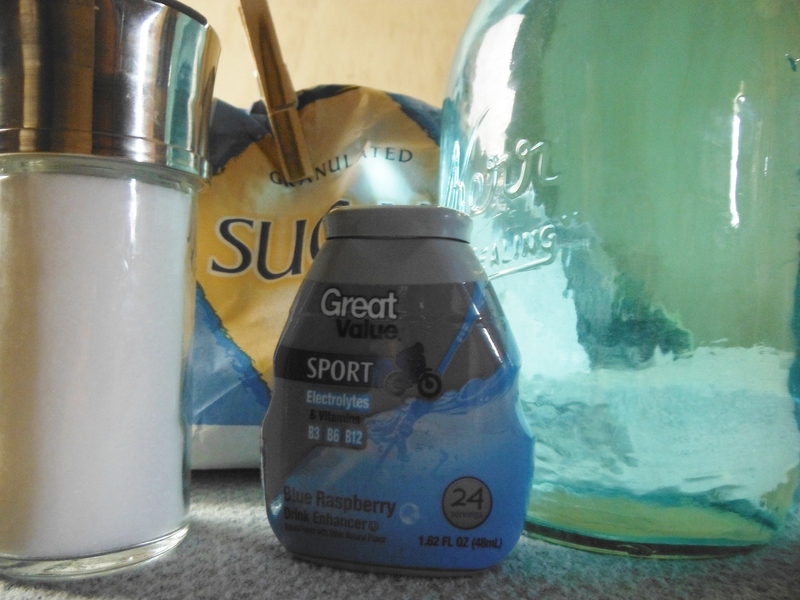 This homemade sports drink doesn’t break your budget, can be made in many flavors, and can be made sugar-free. Combine all ingredients, except water into 1 quart mason jar. Fill the jar half full with water, close lid securely, and shake. Finish filling the jar with water and mix contents again. I also add 3 scoops of unflavored Osteo Bi-Flex drink mix to my husband’s jars. It has Vitamin C, Vitamin D3, Vitamin E, Acai, Calcium, Glucosamine, and other minerals.